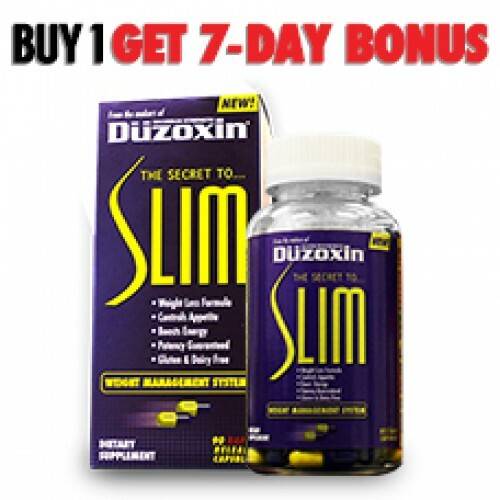 Düzoxin Slim’s thermogenic complex represents the most advanced natural weight-loss technology available. This product formulation is made from the highest quality ingredients available. Every extract is certified and standardized for the highest accurate potencies. This product formulation is made from the highest quality ingredients available. Every extract is certified and standardized for the highest accurate potencies. NOTE: This product contains caffeine and salicin (precursor to aspirin). This product should not be taken by persons wishing to eliminate these ingredients from their diet.